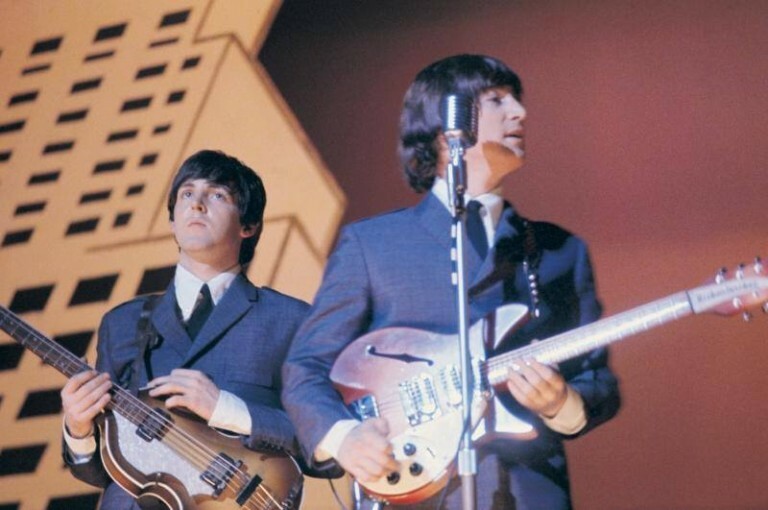 John Lennon Rickenbacker gifted to Ringo Starr to go on auction. A 1964 Rose-Morris Rickenbacker, model 1996, nick-named “The Beatle Backer” owned by John Lennon and later gifted to Ringo Starr. The guitar is semi-hollow bodied with an F-hole, in fireglo finish, serial number DE519. This guitar was originally given to John Lennon by Rose-Morris, the official UK importer of Rickenbacker, when his 1964 Rickenbacker 325 was damaged during a Christmas performance. Lennon played this guitar for the remaining 1964 Christmas shows. This guitar can also be seen in photographs, taken in 1967, in Lennon’s home music-room. In 1968 Lennon gifted the guitar to Starr. In 1968, when tensions were rising among the Beatles, Starr, briefly left his bandmates who were recording The Beatles aka the “White Album”. When he returned, fresh with new material he had written, Lennon gave him this Rickenbacker. Lennon thought the guitar would fit Starr well and wanted to encourage Starr to write more songs.